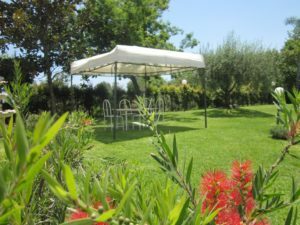 B & B Boutique Di Charme is an elegant villa, located in a large cultivated park, centuries-old trees and Mediterranean plants. 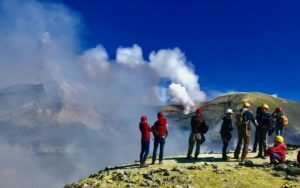 This beautiful villa is located in Zafferana Etnea at 574m, the eastern slope of Etna the largest active volcano in Europe. 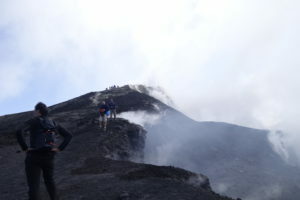 It extends to the summit of the volcano, including landscapes of natural beauty in its territory, from the woods to the lava desert, which makes it a popular destination for many tourists, who are attracted by the enchanted nature, the pristine environment and clean Air. 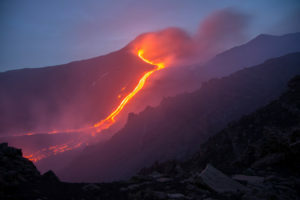 A splendid view of the eastern Ionian coast and the picturesque scenery of Etna. The structure has been designed to make it a comfortable and welcoming environment, to live a truly unique experience for everyone. 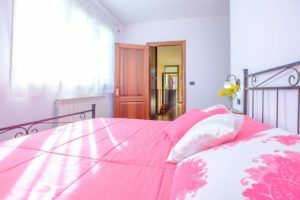 The B & B Boutique Di Charme offers its guests rooms with private bathroom / hairdryer, LED TV, mini fridge, heating and terraces with panoramic views of Mount Etna and the sea. 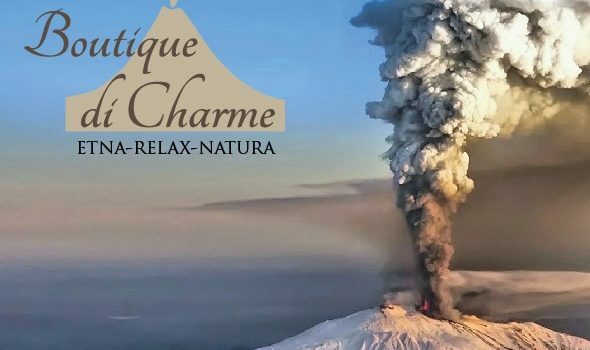 The B & B Boutique Di Charme is located 25 minutes from the beautiful Taormina, 10 minutes from the resort of southern Etna and 10 minutes from the baroque of Acireale. 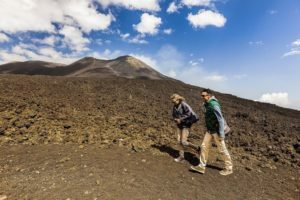 In addition to your holiday on Mount Etna, our rooms offer peace and tranquility, wonderful landscapes and walks, surrounded by nature and a peaceful environment. 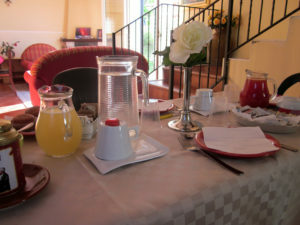 Our guests will receive a warm welcome and an experience that they find memorable and hard to leave. 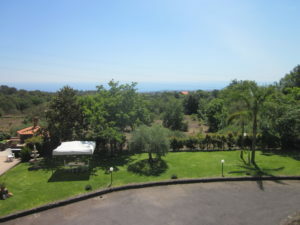 B & B Near Catania, Taormina and Etna, Acireale, Giarre, Riposto, Mascali, Santa Venerina, Milo, Fiumefreddo, Sant’Alfio, Bronte, Randazzo, Gorges Dell’Alcantara, Viagrande, Trecastagni, Pedara, Nicolosi, Piedimonte Etneo, Linguaglossa, Castiglione di Sicilia, Castelmola, Gaggi, Aci Catena, Aci Sant’Antonio, Valverde, Belpasso, Ragalna, Letoianni, Syracuse, Messina, Catania Airport, Giardini Naxos, Milazzo, Etna, Etnaland, Shopping Centers Catania. 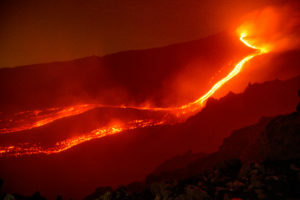 EXCURSION ON ETNA FROM B & B BOUTIQUE DI CHARME *** “ETNA-RELAX-NATURA” Zafferana Etnea (CT). 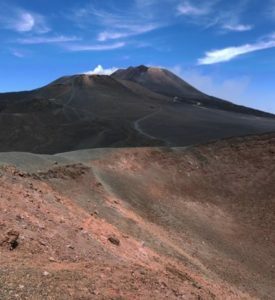 Excursion on Mount Etna complete in Jeep and trekking to visit craters, caves, fractures and the last eruption. 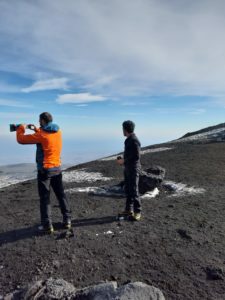 We leave from your hotel or from our meeting point with our 4 × 4 vehicle, authorized, in the north-east direction, after a couple of km we will stop inside the National Park accessible with authorized guide since there are about 45 side craters. After a walk of about 40 minutes we will visit 5 side craters, one of which is still open and you can see the real size of a crater. 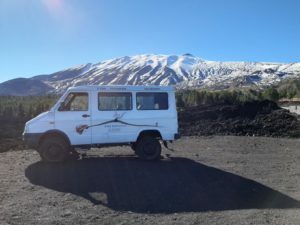 After visiting the craters at high altitude with our jeep we will make 2 km off-road to discover the last big eruption on the north side; finally on the east side we will visit helmets and lamps provided by us with small craters inside, an expansion chamber and a 26 km fracture that divides Etna into 2 parts, it moves 14 millimeters a year. 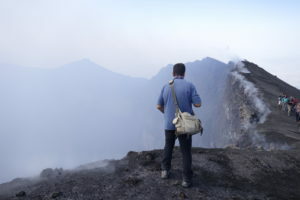 The visit will be carried out in areas of volcanological and scientific interest with a qualified guide. Finished The Etna Excursion will be spent at the Tenuta San Michele Agriturismo (Via zafferana 13, Santa Venerina) where the customers of Etna Tour Excursion can take advantage of free private parking, toilets and, for those who want, on return take advantage of a great restaurant and tasting of Etna Doc wines. 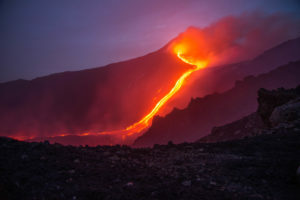 ETNA EXCURSIONS FROM: Catania, Taormina and Etna countries, Acireale, Giarre, Riposto, Mascali, Santa Venerina, Milo, Fiumefreddo, Sant’Alfio, Bronte, Randazzo, Gorges Dell’Alcantara, Viagrande, Trecastagni, Pedara, Letoianni, Syracuse, Messina , Catania Airport, Giardini Naxos, Milazzo, Etna, Etnaland, Shopping Centers Catania. 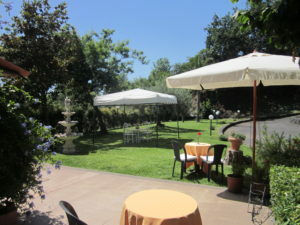 B & B Near Catania, Taormina and Etnae, Acireale, Giarre, Riposto, Mascali, Santa Venerina, Milo, Fiumefreddo, Sant’Alfio, Bronte, Randazzo, Gorges Dell’Alcantara, Viagrande, Trecastagni, Pedara, Nicolosi, Piedimonte Etneo, Linguaglossa, Castiglione di Sicilia, Castelmola, Gaggi, Aci Catena, Aci Sant’Antonio, Valverde, Belpasso, Ragalna, Letoianni, Syracuse, Messina, Catania Airport, Giardini Naxos, Milazzo, Etna, Etnaland, Shopping Centers Catania. 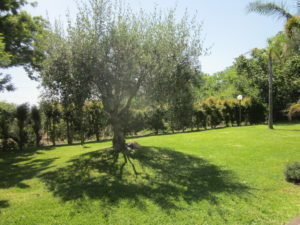 The B & B Boutique Di Charme was born in an elegant and elegant Villa with a large park garden composed of ancient trees and Mediterranean plants. 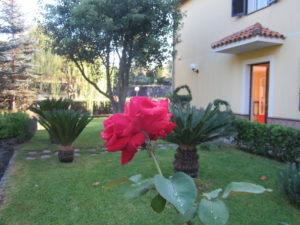 Each room has been designed and adapted to make it comfortable for anyone who wants to feel at home and at ease. 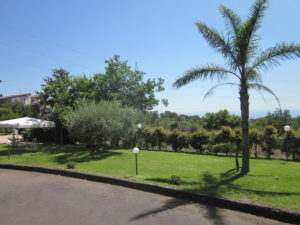 It offers its guests rooms with bathroom, LCD TV, hairdryer, mini-bar and panoramic terraces overlooking Etna and the Sea. 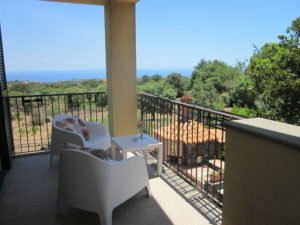 The Bed & Breakfast has a private car park and a large garden park where you can admire the splendor of the Ionian coast and the enchanting nature that surrounds it. 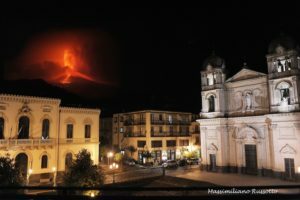 Its position allows you to reach in just 25 minutes the beautiful Taormina, in 20 minutes the tourist station of Etna Sud and in 10 minutes Acireale and its Barocco. 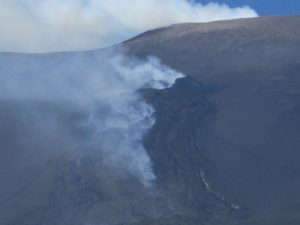 In addition to a holiday in contact with the Volcano, you can enjoy peace and tranquility, landscapes, wonderful walks on foot for opportunities for rural life and that make this part of Sicily with its smells and flavors an uncontaminated place where it is nice to get lost … You will find a welcome and a unique cordiality, believe us you will not want to leave. 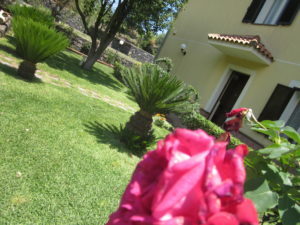 From your Hotel / B & B in Acireale up to 4 people with 1 hour stop. On request it is possible to transfer to other places in Eastern Sicily. 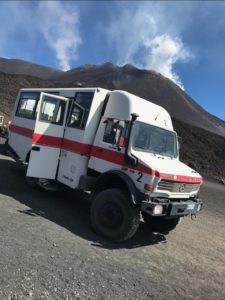 TAXI ETNA FROM: Catania, Taormina and Etnae countries, Acireale, Giarre, Riposto, Mascali, Santa Venerina, Milo, Fiumefreddo, Sant’Alfio, Bronte, Randazzo, Gorges Dell’Alcantara, Viagrande, Trecastagni, Pedara, Letoianni, Syracuse, Messina , Catania Airport, Giardini Naxos, Milazzo, Etna, Etnaland, Shopping Centers Catania.